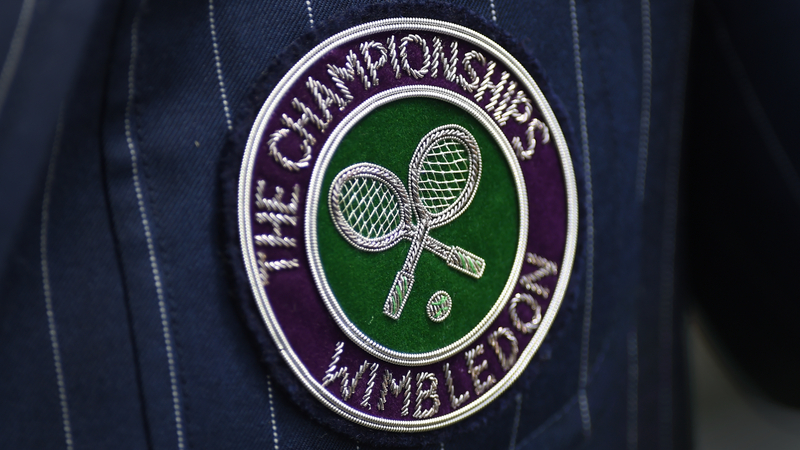 Wimbledon’s opening week is in the books, here is your look at the remaining 16 players in the field who will decide the champion in men’s singles in just a few days. Federer has yet to drop a set this tournament, and dominates the h2h against Mannarino. He’ll be a heavy favorite to reach the quarters yet again as Mannarino should be fatigued after a 5 set win against Daniil Medvedev. Federer’s game on grass is showing no signs of slowing down. The veteran Monfils leads the h2h 5-0 against the big serving Anderson. The Frenchman is playing some peak tennis at Wimbledon and has been cool and collected this tournament winning in 4 sets against Sam Querrey in round 3, and also Paolo Lorenzi in 4 sets in round 2 and Richard Gasquet in straights round 1. Anderson dropped a set against Andreas Seppi in round 2, but eased past Philipp Kohlschreiber in round 3. This should be a cracking contest, but with Monfils leading the h2h and serving well he should be the favorite to edge past Anderson. Wins over Ricardas Berankis, Nicolas Jarry, and Guido Pella have put Mackenzie McDonald into a career best position. The young American has played some fantastic tennis in the opening week, including an 11-9 5 set win against Jarry in round 2. His next opponent, Milos Raonic will be the toughest test yet. Raonic dropped a set against Dennis Novak in the third round, but he’s been solid overall. With Raonic playing this well an upset looks unlikely, the Manitoba missile should advance. A big result for both players, Isner needed 5 sets against Ruben Bemelmans in round 2, but his first and third round wins came in straights. Tsitsipas needed 5 sets against Jared Donaldson, but a third round win over Thomas Fabbiano put him into the second week. Tsitipas has taken advantage of early exits from Grigor Dimitrov and Stan Wawrinka to emerge as a contender. Isner for his part has posted a better result on Wimbledon than usual. This match could go either way, it will be Isner’s experience against Tsitsipas immense talent. Djokovic fans should be thrilled by his performance so far. He dropped a set against Kyle Edmund but fought back to win that third round match in 4, his only meaningful test in three matches. The Serbian superstar should now face a fatigued Karen Khachanov. Khachanov edged David Ferrer in 4 sets then won 5 setters against Marcos Baghdatis and Frances Tiafoe. This is a great result for Khachanov to make it this far, but I’d be stunned if he could make inroads against an in-form Djokovic. This could be a special tournament for Nishikori. He dropped sets against Christian Harrison and Bernard Tomic in the first 2 rounds, in round 3 Nishikori blitzed past a struggling Nick Kyrgios to secure passage into the second week. Gulbis is a massive story as well, the former top 20 player qualified and then won three consecutive 5 set matches to reach this stage. Gulbis defeated Jay Clarke, Damir Dzumhur, and top 5 seed Alexander Zverev in his three main draw matches. The loss was a big blow for Zverev, but Gulbis now has an opportunity to resurrect his troubled career. Gulbis has always had the talent but Nishikori should be the favorite. An intriguing battle of veterans, Del Potro hasn’t dropped a set this tournament including in round 2 and round 3 victories against Feliciano Lopez and Benoit Paire respectively. Those players are no pushovers, so it’s a sign Del Potro is really feeling it right now. Simon dropped a set against Matt Ebden in round 3, but he’s otherwise played well, winning the matches he should. Del Potro is a step up though and the Argentine should go through. Jiri Vesely dropped sets against Florian Mayer and Fabio Fognini but he’s advanced to this stage to get a crack at Nadal. Nadal is in great form and hasn’t dropped a set in three routine matches. WIth Nadal playing so well it looks like anything is possible, and I don’t see Vesely stopping him. Nadal should be proud of his performances. Federer and Djokovic should go through here, while Del Potro deserves the benefit of the doubt on grass, and Raonic is also solid on this surface. Federer remains the favorite, with Del Potro and Djokovic also potential trophy lifters.